Sapa is a natural land where four seasons are differentiated clearly. Each season is usually symbolized by distinct and original products. Whatever season is Sapa in, this land always has its rare and distinct beauty. People who have fallen in love with Sapa said that even in each day, Sapa also has its different feature from the previous day. 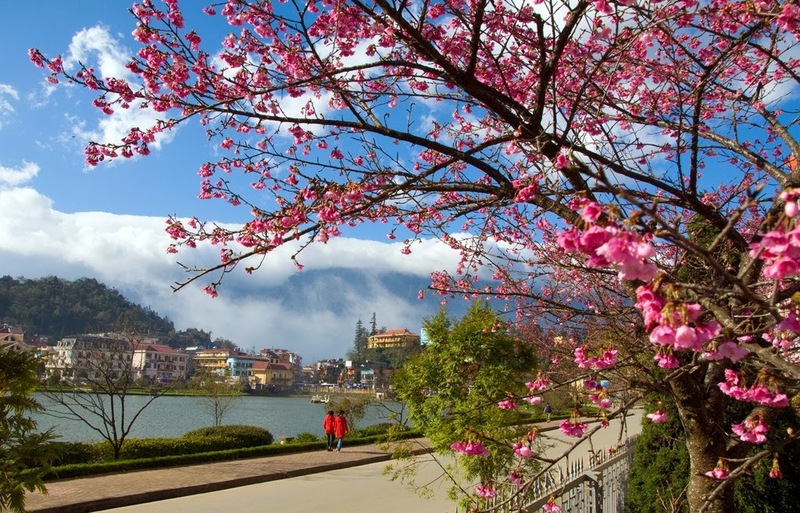 Spring is the time when Sapa is most effulgent with the white colour of plum flowers and pear flowers along with the pink colour of cherry blossom. If you come here in spring, you can go to O Quy Ho to take photographs of peach-blossom or to Ta Phin to catch a view of a field of yellow cauliflowers. Summer is the season of romantic pensées flowers, the flowers of love and nostalgia, and also the season in which cherry, pear and plum trees produce fruits. Sapa’s cherry has a sour but fragrant and fresh taste and a bit sweet aftertaste. Dark purple Ta Van plums can relieve tourists during the hot weather of summer days. Winter is the time that makes Sapa most differentiated with other regions with mountains, forests and houses covered with snow. It is when Sapa’s local residents dress their most colourful and beautiful coats and pullovers. Whatever season is Sapa in, this land always has its rare and distinct beauty. People who have fallen in love with Sapa said that even in each day, Sapa also has its different feature from the previous day. And in one day, it is possible to realize cadences of time and weather which are passionate and uncommonly interesting. In the morning, Sapa hides itself in fog and exposes its beauty like in the spring when sunlight spreads over the land. In the afternoon, when the sun is at its zenith, the atmosphere covering the region is the atmosphere of summer. Then in the evening, at sunset, Sapa shrinks in the cold weather. At night, when cold air flows pervade from the mountains’ peaks, Sapa has the cold of winter and sometimes there is snow falling like petals.